Don Ragas may be ERT’s chief technology officer, but his work extends far beyond technology and software development. Instead, Ragas realizes the merit of getting his hands dirty and jumping headfirst into the field to achieve accurate, purposeful results. Last year at ERT, he logged more than 100,000 miles traveling between the company’s offices, exploring nuances in systemic processes and improving procedures for employee engagement and efficacy. In general, Ragas seeks to “build a team that understands the greater impact of technology in the business and how to grow into a larger company.” Strengthening the company’s infrastructure has allowed it to excel through its varied endeavors, bolstering its reputation with everyone from start-ups to large pharmaceutical companies. 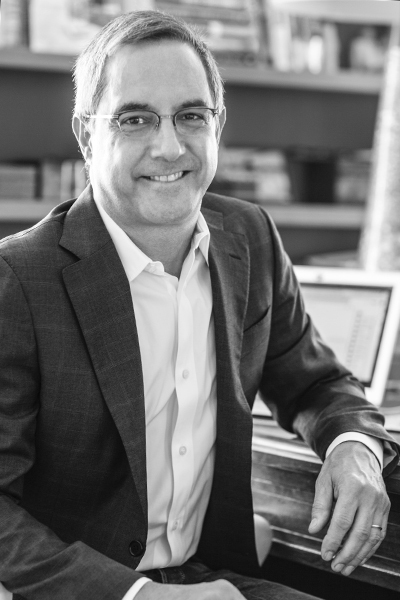 During his years at ERT, Ragas has spearheaded efforts to continually renew the company by preparing it for new generations of technology, replacing paper with digital data recordkeeping methods, and helping perpetuate revenue growth using a combination of organic means and acquisitions. When approaching a new problem or project, Ragas says that a steady line of communication is an essential ingredient for success. Once a problem is identified and addressed, Ragas extends the line of communication to his team. He tasks them with making options for product owners and executives to consider. In a world full of possibilities, he has found that people appreciate a range of options so the scope of the problem does not feel limited. At one end of the range are small solutions, which hardly change anything about the old practice. At the other end are big solutions that completely erase the original method in order to start fresh. Typically, people search for a solution that falls in the middle of the spectrum, balancing old ways with new methods. Ragas wants his team to present a range of options that encompass a broad swath of that spectrum. With Ragas’s motivation, his team has learned to embrace taking opportunities as they come and to recognize when to make plans to pivot due to unexpected changes. In the context of ERT, these skills have initiated efforts to further modernize clinical data collection practices, namely, by transferring paper documents in drug trial processes to a digital platform. Digitally monitoring patient vitals gives way to more accurate, cost-effective operations and prevents the possibility of human error. Ragas and his team have built software that can capture readings from a blood pressure monitor, for example, then document it automatically, rather than needing a person to look at the reading, write it down, and re-enter the information somewhere else. “The failure rate in clinical trials is quite high, so reducing the burden of failed trials means that there is more funding for therapies and healthcare, in addition to enhancing the quality of the trial process immensely,” he says. By reducing resource waste during drug trials, the team at ERT is advancing clinical trial success for pharma companies, which in turn brings new remedies and treatments to patients faster and more accurately. In a similar vein, Ragas and his team have been working to keep up with the 5G and consumer health technologies, which will greatly advance medical processes as well. 5G technology in medicine will enable a constant ability in the cloud to keep up with patient vitals and progress. Although it is not yet pervasively deployed, Ragas promises that an upsurge in the use of this technology will occur over the next five years. The technology division at ERT is transforming the company into a modern, safe, efficient clinical trial data platform one digital solution at a time. Comprehensively, all these efforts go beyond achieving the bottom line. Instead, they preserve the science of healing. In Ragas’s eyes, with the right team in place and an altruistic heart, ERT will carry clinical trials and the practice of medicine to new levels.